What's this? Another project? Yes! Naturally I started anew once more. 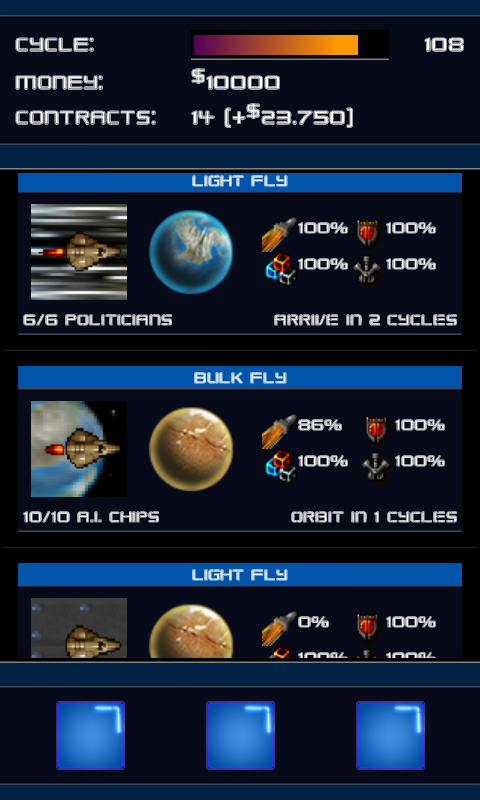 Spacetrader3k is a trading simulation game on Android. 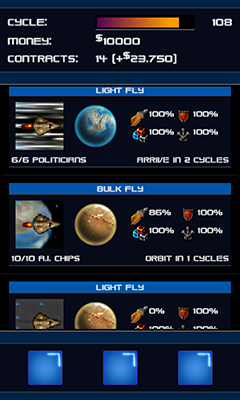 The player can create new contracts consisting of a ship, cargo and two planets where the ship will transport its cargo inbetween: loading, travelling, unloading, and over again. Every succesful transit will give you money to start new ship research and buy more contracts for more ships. As time (or actually cycles) passes, certain events will take place. Ships can get hijacked, damaged, stranded, adrift, raided, as well as boosted, attract investors, find treasures and unlock new travelsites.